This quality crystal award is a clear cut winner. 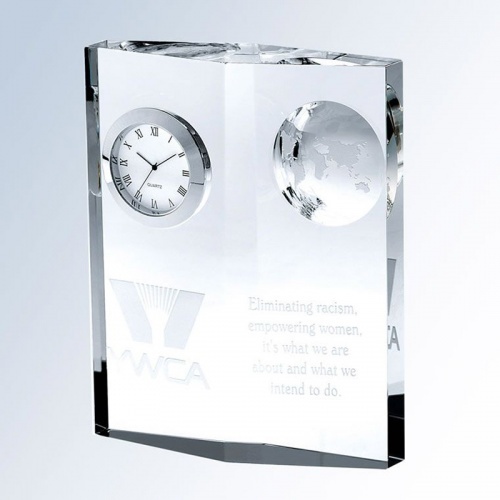 Crafted in flawless optical crystal, it features a diamond shaped plaque inset with both a clock and a globe. 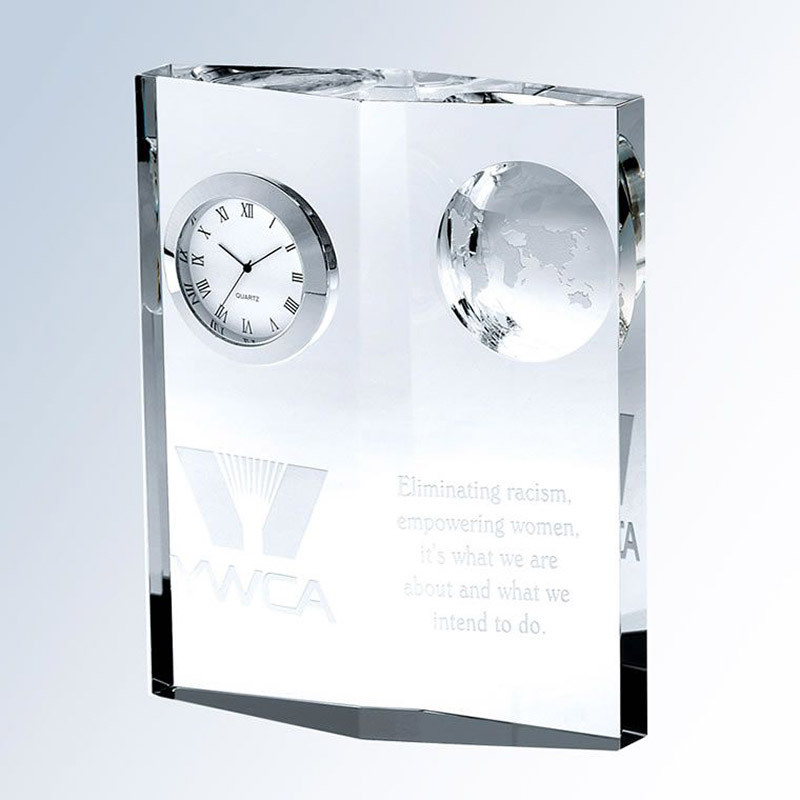 Free-standing and 6.5in tall, these optical crystal blocks refract light as it passes through to create a myriad of aspects as the award is held or turned. The clock features a classic Roman numeral face. These awards can be engraved on the front of the plaque.